Question: what queer quality quietly qualifies this quotable quaff of a DS9 episode to quench your thirst for quirky TNG-style humor? Why, it's our old ominpotent buddy Q, of quorse! This week he comes aboard the station to wreak havoc and be a general thorn in Sisko's side, while Picard's former flame, Vash (NOT the Stampede), meets a kindred spirit in Quark (no relation to Q). 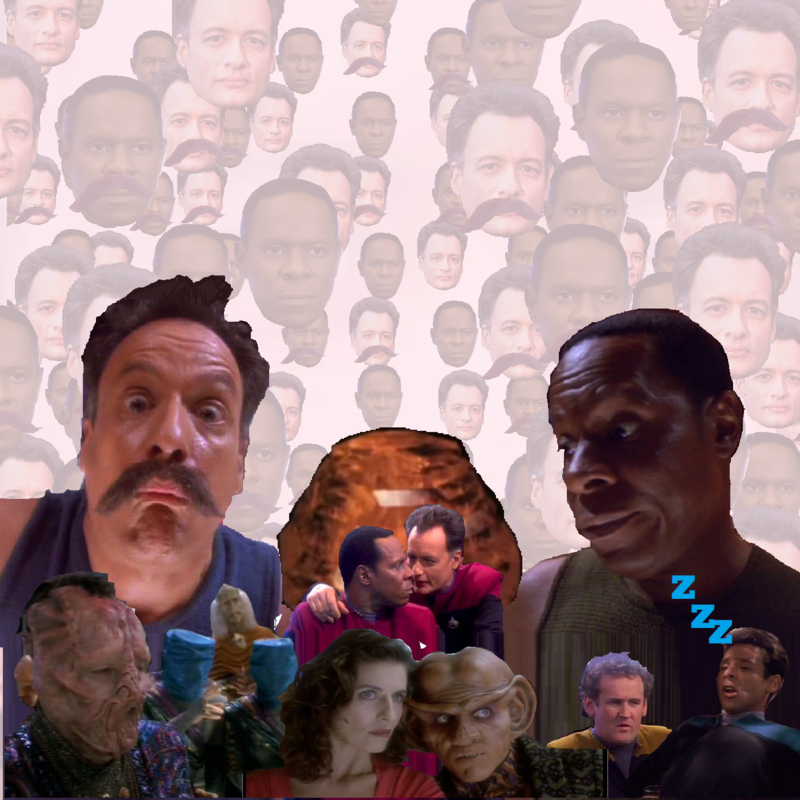 RTW hosts are joined once again by the quintessential Tyler Neufeld (aka Barm) for a discussion that devolves into imagining profanity on DS9, Sisko's indecipherable reaction to punching a god, and COUS-COUS. Questions? Don't quibble! Quickly quell your queries by downloading this quepisode!